Certainly this would suggest that all we do somehow ties back to love, which would include the leadership skill of delegation. Our motivation, as well as the process we use in delegating, should stem from our love for God and people. We show love for God by valuing what He values. 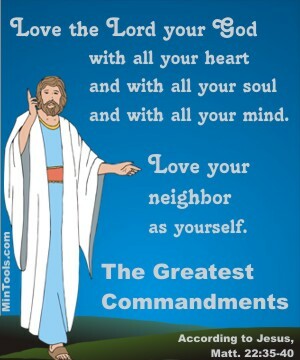 We show love for God by acknowledging the truly Great God He is. That means we not only speak of His greatness but rely on His power. He displays His power through the spiritual gifts He has given people. If we do not delegate to provide opportunity for people to use their gifts, we aren’t fully acknowledging His power at work in and through His people. We show love to people by valuing their contribution. That means we must let them get involved. To merely say we value them means little if we don’t ask them for their input and allow them to be part of the process. We show love to people by being patient with them and kind. That means we give people room to learn and grow. They will sometimes make mistakes. They will not always follow through. Doing the task ourselves might seem easier and quicker than working with people. Think about the difference it would make if we displayed the qualities in 1 Corinthians 13 when working with people through the delegation process. God Himself remembers our humanity and extends forgiveness and compassion toward us rather than the judgment we deserve (Ps. 103:14).